61Franklin RoadDespite slower sales and higher inventory of homes on the market here, builders continue to purchase homes to tear them down. The Committee for Historic Preservation (CHP) will consider applications to demolish three more homes at their meeting on December 18 at 8 pm at Village Hall. 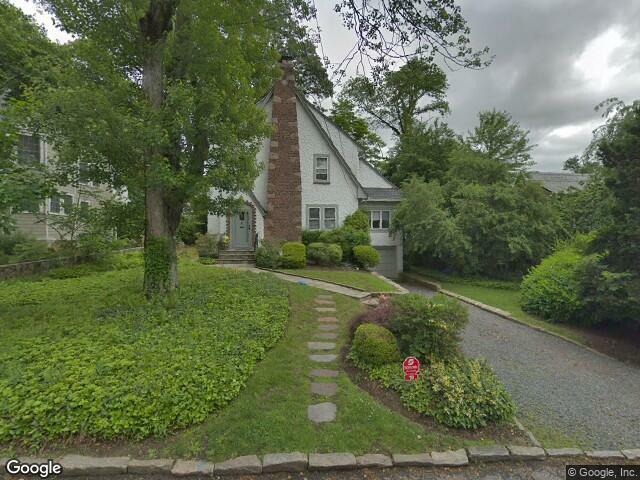 Also see what happened at 54 Park Road after the owners attempted a partial teardown. Unique new construction privately set in the heart of Fox Meadow, offering a light filled space, 20' entry, dynamic design, exquisite details/materials, custom 8' Mahogany entry door, expansive 6' vertical format windows, wide plank oak flooring, cable railings, standing seam roof, Cedar soffits, and a chef's kitchen equipped with professional level appliances. Sleek kitchen design by JEM woodworking compliments the sun-drenched open floor plan. 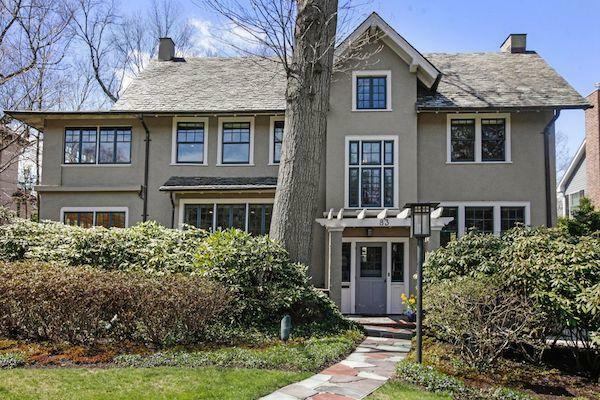 This home has 7 beds/5½ baths. Master suite enjoys a soaring 14' ceiling, study/bedroom, his/her walk-in closets/dressing room, LUX marble bath with Perlota soaking tub and radiant heated floor. Total square footage includes 1600 for recreation in the lower level with play/media/gym. This house has a classic center hall flow. In addition to the generously proportioned living room with fireplace and dining room is a den with three exposures and door to patio. The chef's kitchen has a center island, custom cabinets, and is completely open to the family room all with fabulous Western exposure. Step out from the kitchen to a big deck and step down to the beautiful fenced back yard. There is a mudroom entrance next to the kitchen with a laundry and a food pantry. Upstairs is a master bedroom with a walk in closet and updated master bathroom. 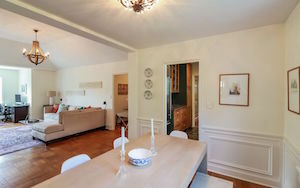 There are two large bedrooms connected by a jack and jill bath and a big fourth bedroom with a walk in closet. The lower level has a playroom with its own newer bathroom and egress window, storage area and door to large two car garage. 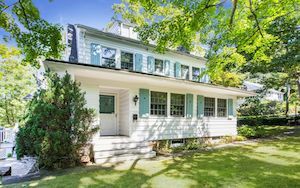 Scarsdale Colonial that boasts todays' updates and amenities with the charm and architectural beauty of yesteryear. Renovated with a decorators eye to balance, flow and harmony. This is the home to see from the welcoming entry foyer to the coffered ceiling to the chef's dream kitchen. 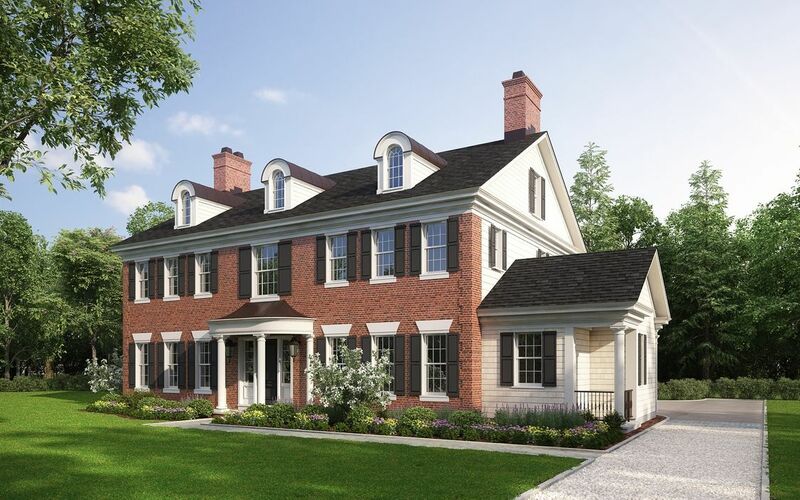 Quaker Ridge classic offers tremendous space and the convenience of three out of the 7 bedrooms on the first floor, with a master sized opportunity on either the first or second floor. 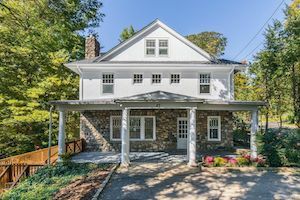 Entertainment flow on the first level with room for living, singing, cards, movies, informal and formal dining complete with access to the stone patio and level half acre of rear yard. And the large lower level adds 360+ square feet. 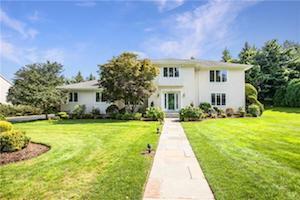 Home in the Edgemont School District with incredible space, high ceilings, golf course views and sunsets. 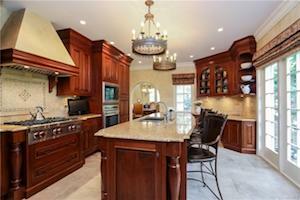 Custom high-end designer kitchen with Wolf, Sub Zero and Miele appliances. Cul-de-sac location with privacy in the front courtyard which has plenty of room to play or relax in the covered stone gazebo. Spacious back patio off 3 sets of French doors facing golf course. Private master suite has walk-in closet, dressing room with makeup vanity, balcony and luxurious bath with shower and tub. Special features include 2 story living room, expansive family room with 9 1/2 ft ceiling, updated baths, spectacular architectural details, specimen plantings, and Ludowici tile roof. 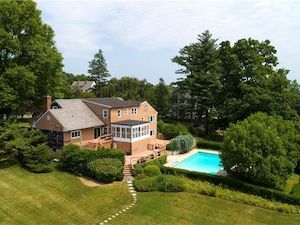 Incomparable and bright Greenacres Colonial totally renovated in 2011 and 2013 on a private, tranquil .95 acre property with an approved pool plan and rendering available. 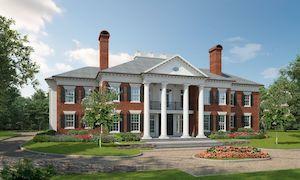 Architectural excellence with exquisite craftsmanship, millwork, and finest finishes throughout. Meticulously designed and appointed for intimate living. Extraordinary blend of styles yields a classically modern 7,400 square foot, seven bedroom new home, both luxurious and eminently livable. The stage is set with a spectacular entry hall offering an axial view of the lush backyard through floor to ceiling walls of glass along the back. Enjoy a completely fluid floor plan. 6 Beds | 5.1 Baths | 7,500 Sqft. Best value in Fox Meadow. This new construction is a true modern classic. 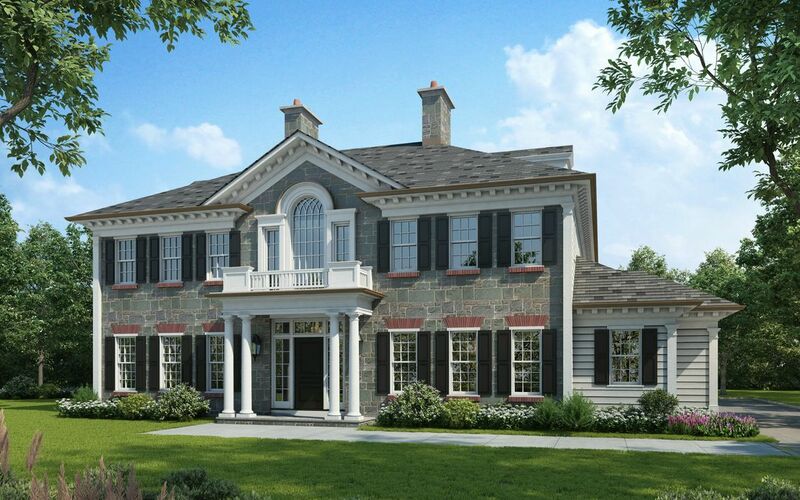 Stone Georgian built by one of Scarsdale's finest builders, with a strong sensibility for both luxury and value. 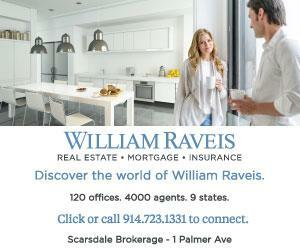 In the prestigious Old Scarsdale, minutes from Scarsdale High School, train and village. 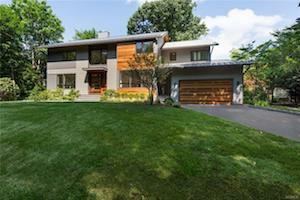 Regal exterior with curb appeal, contemporary interior with open layout and metropolitan design. Carefully crafted with comfort, functionality and aesthetics, it is timeless with enduring qualities for ultimate enjoyment. 5 Beds | 6.1 Baths | 5,186 Sqft. Reimagined and modernized. 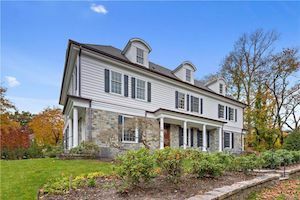 This spectacular Quaker Ridge residence is nestled on .57 acre complete with an incredible pool, spa, multi-tiered deck, & bluestone patio. Perfectly landscaped for privacy, entertain guests in style or relax poolside while enjoying the exceptional resort-like setting! Finished lower level. Low taxes! 5 Beds | 5 Baths | 4,505 Sqft. 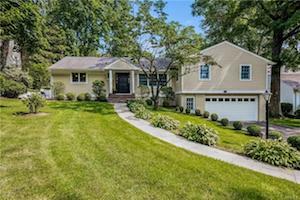 Stunning Larchmont Woods home built in 2006 with exceptional detail throughout and great attention to landscaping with an impressive outdoor pizza oven and built-in BBQ. The perfect home with exceptional flow for entertaining inside and out. Five generously sized bedrooms. Enjoy the two fireplaces in family room plus living room for those cozy moments. This is truly a treat on a most beautiful street. 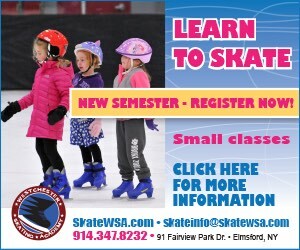 Convenient location, easy commute. 6 Beds | 5.1 Baths | 4,532 Sqft. State-of-the-art new construction in Wykagyl Park. 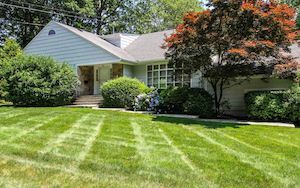 Gaze out from the back of the home upon beautiful golf course views as the home sits on Wykagyl Country Club. 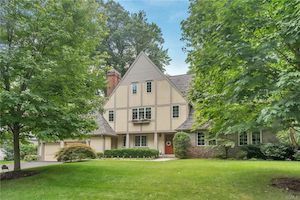 Gorgeous six-bedroom, five full and one-half bath Tudor style home. 9' ceilings on both first and second floor. The luxurious townhouse you've been looking for is waiting for you. This two-bedroom unit is the only unit that features three and one-half baths. 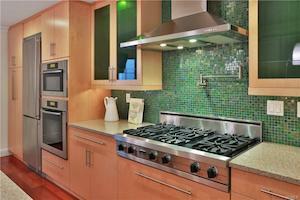 State-of-the-art kitchen renovation and open floor plan featuring four floors of living space. Generous master bedroom suite featuring a large walk in closet and sliding glass doors to your own private deck. 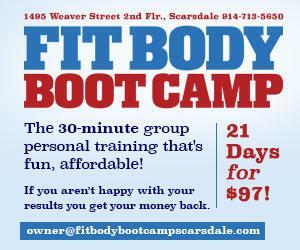 Conveniently located to train, park, pool, shopping! 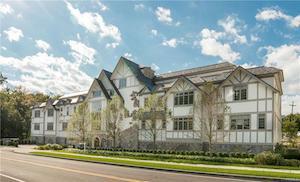 Sophisticated and reimagined for contemporary living in the heart of White Plains. 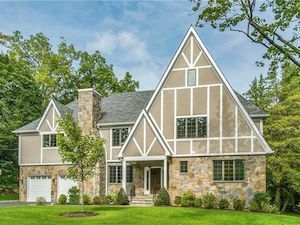 Fall in love with the striking architectural details and level of craftsmanship of this majestic, fully renovated Center Hall residence. The brand-new Master Bedroom and bathroom is sure to impress with white marble counters and a huge stall shower. 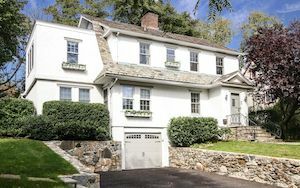 Welcome to "Snug Hollow,” a five-bedroom, three-and-a-half bath centrally located country retreat. The best of both worlds! A private suburban oasis. Every angle of this retreat draws the outside in with stunning natural beauty in every season. 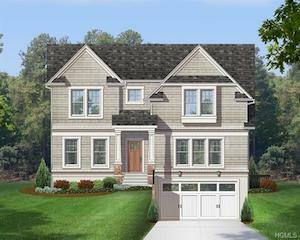 Convenience is the cornerstone of this rare enclave with tons of storage space and closets. Drive up to this house via a private roadway. 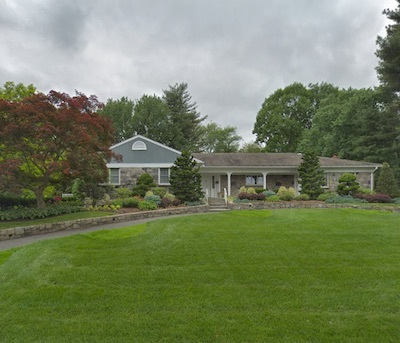 The Pool, Poolhouse and Trellis at 62 Birchall DriveApplications to demolish two homes, a pool, a poolhouse and a dollhouse are on the agenda of the Scarsdale Committee for Historic Preservation’s meeting on November 20. If approved, the structures will be razed. 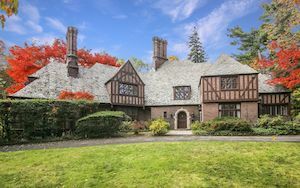 Stunning stone and stucco/timber Tudor in the heart of the Fox Meadow section of Scarsdale. Centrally located and a short walk to train station, public tennis courts and Fox Meadow school. 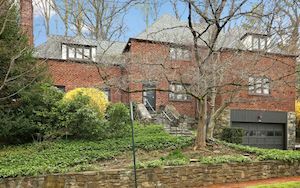 This bright Tudor with double height center hall has a prominent stained glass window with generous window seat as you ascend the grand staircase. 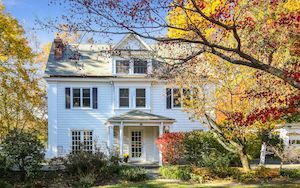 Generously proportioned rooms throughout, and following renovations in 2000: Vermont slate roof, kitchen, baths, electrical, plumbing. 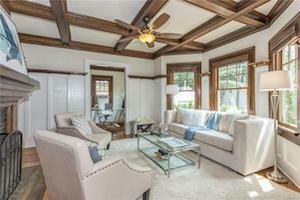 Built with great quality and fine materials on a beautiful street! 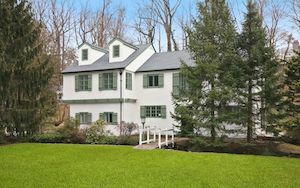 Masterfully renovated sun filled side hall colonial with spectacular views of Quaker Ridge Golf course! The sizable and well designed kitchen has a generous breakfast nook with glass sliding door out to the very private flagstone patio overlooking the golf course. 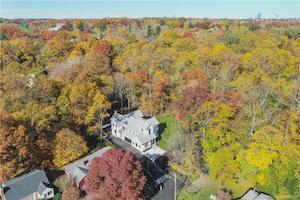 The large family room with fireplace, formal dining room, living room, bedroom/office with full bath and exercise/game room complete the first floor. 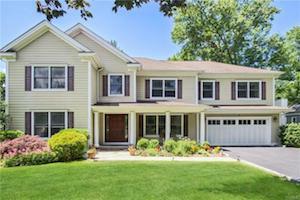 The second level, with high ceilings, features a spacious en suite master bedroom/bath with 2 WIC and glass doors out to deck overlooking the golf course. Family bedrooms include en suite bedroom/bath and WIC and two additional bedrooms with Jack/Jill bath. The large bonus recreation space and laundry room complete the second level. 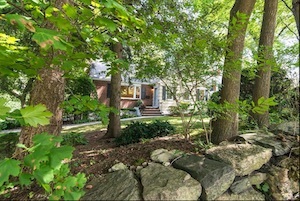 Transportation to all three public schools, neighborhood park and close proximity to Scarsdale Pool, KIDS Base and highway make this an excellent location to call home! 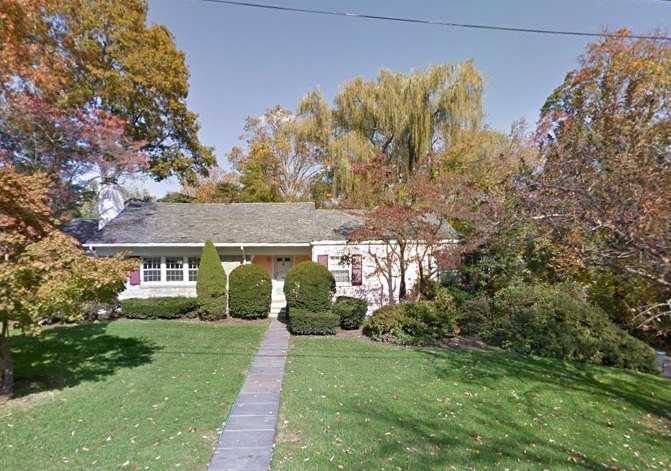 Welcome to 150 White Road, built in 1996 in the Scarsdale School District. 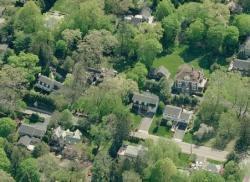 This young Colonial is located on a tranquil tree-lined street and very close to shopping, schools and train. This home has an open layout, four bedrooms and three-and-a-half bathrooms, 2940 interior square feet: living room, dining room, kitchen/family room with fireplace, powder room and mudroom with laundry all on first floor. The second floor has four bedrooms: master bedroom with two closets walk-in and double closet, and a large master bathroom (separate shower and whirlpool tub), plus 3 additional bedrooms and a hall bathroom. Lower level: large playroom and full bathroom and plenty of storage space. Two-zones central air, three zones heat. Nice, private yard with deck. Many improvements. Move right in! 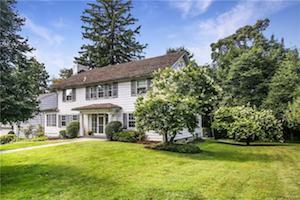 Outstanding Scarsdale location, close to all. 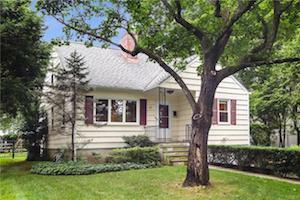 Desirable Quaker Ridge Elementary, lovely street in sought after neighborhood. Don’t miss this opportunity to roll up your sleeves and make this home your own. 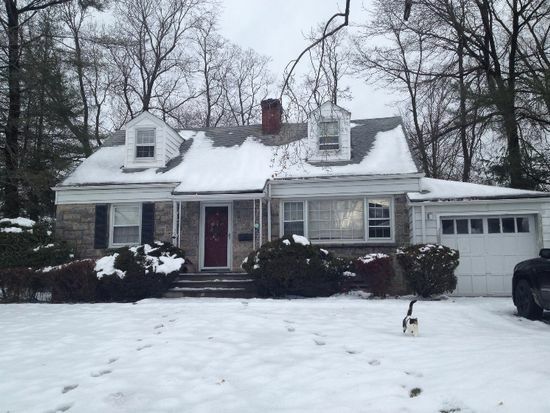 Possibilities are limitless including expansion on this approx half acre flat property. 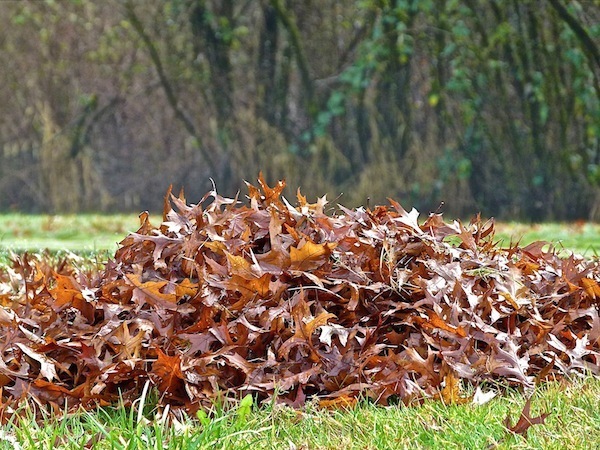 A little imagination will yield a wonderful home and investment. 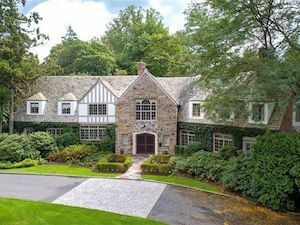 Scarsdale meets The Hamptons in this lush and private Cedar Shake/Stone residence on 1.49 Acres in the Estate Area. Impressive architectural details. 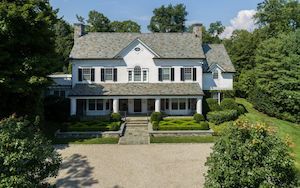 Renovated in 2010, Designer Anthony Baratta, known for his use of bold colors and grand scale, created a home with remarkable charm and a homespun Americana feel. 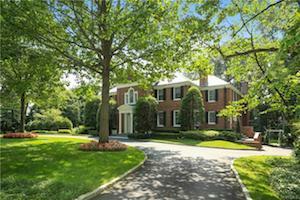 Enjoy your own private resort in the heart of Scarsdale’s coveted Murray Hill estate area. 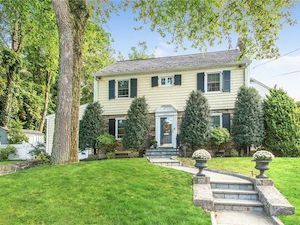 This lovingly maintained and updated grand Colonial is the perfect blend of elegance, beauty and location. 5 Beds | 6.5 Baths | 6,885 Sqft. Set gracefully on just under an acre of private wooded views, this stunning newly-constructed Contemporary by renowned architect Robert Keller sets a new standard for 21st century chic with an unparalleled construction by Cygnet Design & Build. 7 Bed | 4.1 Bath | 5,761 Sqft. 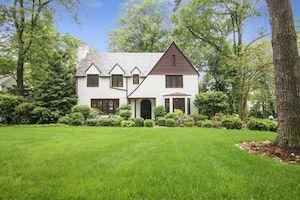 Exceptional Tudor in very desirable location in Fox Meadow. 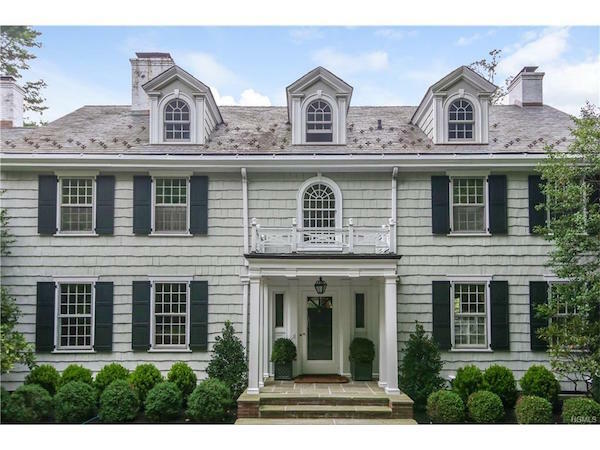 This impressive residence is located steps away from the Scarsdale train station, Village shops, schools and library. 5,761 square feet of elegant interiors, this home's exquisite old-world details present a rare find. 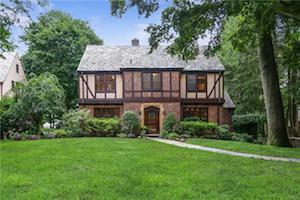 Exquisite Tudor on sought after street in Fox Meadow on private .77 acre property with pool. Lovingly maintained for many years until some pipes burst in early 2018. Water damage limited to a few secondary rooms which have been remediated but house requires renovation and new heating system. Priced accordingly. 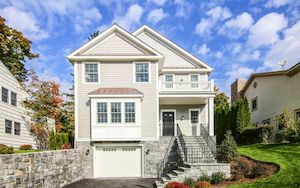 Situated on one of the most prestigious streets in White Plains, this beautifully renovated residence reflects a stylish modern enthusiast with high ceilings, bright direct sunlight and an open floor plan. Property highlights include an open layout with soaring ceilings, a chef’s Kitchen detailed with black granite countertops, natural shaker cabinetry and stainless-steel appliances. 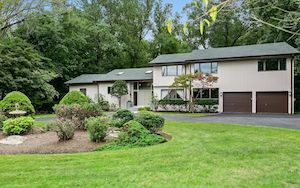 The entire first floor features sliding glass door from every room to the backyard deck with breathtaking backyard setting on a half-acre of privacy and complete serenity. 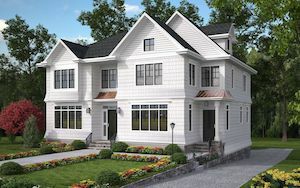 The unique and versatile floor plan is suitable for all preferences and includes four bedrooms including a Master Bedroom with a huge Master Bathroom and walk-in closet and laundry on the second floor. 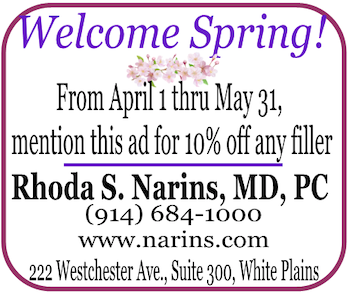 Located only minutes from downtown White Plains, Metro North and the Hutchinson Parkway. 3 Beds | 2 Baths | 1,748 Sqft. 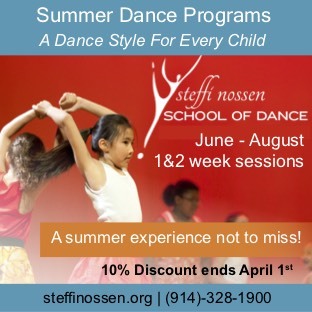 You do not want to miss this one! 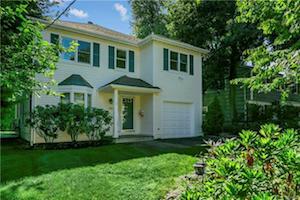 Come to see this lovely three bedroom/2 bath Colonial in the award- winning Scarsdale school district! 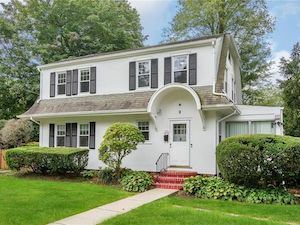 Gorgeous hardwood floors throughout, wood burning fireplace, separate play space or office space, Spacious bedrooms and a beautiful large level yard with gorgeous trees. 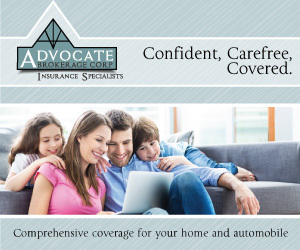 Take advantage of the large driveway for parking multiple cars in addition to the attached one-car attached garage. 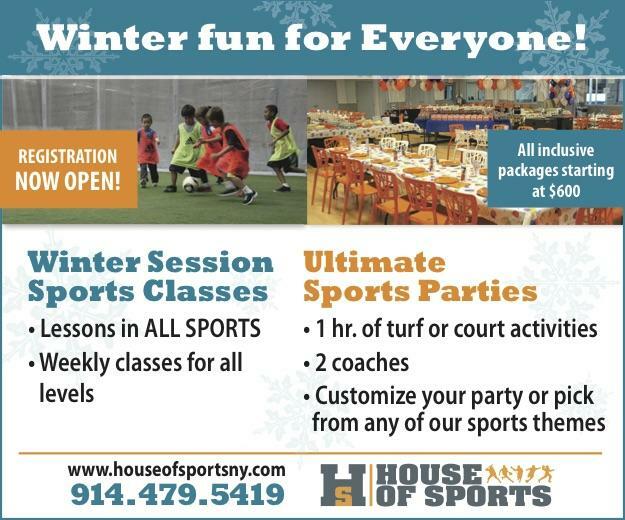 Conveniently located to both Hartsdale train station and White Plains train station. Being sold “AS IS.” The property has 2 lots. 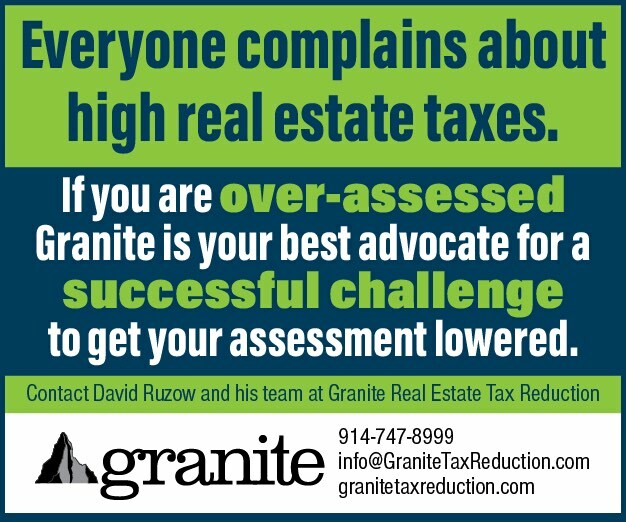 Each taxed separately. 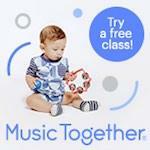 Expansion possibilities! 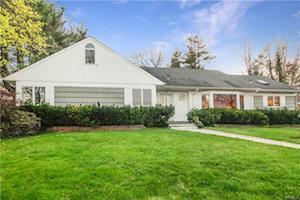 Buyer may want to consider renovating and expanding the kitchen into the gorgeous huge backyard. 2 -3 Beds | 2,262 – 2,575 Sqft. The Heathcote, Now Leasing, is a luxury boutique residential experience, with 24/7 concierge is now leasing! Fourteen elegant homes ranging from 1,295-3,190 square feet, one to three bedrooms plus two sprawling Penthouses apartments. No expense was spared in the sophisticated design and peerlesss craftsmanship of the Heathcote Residences. Open concept floor plans, with 9 to 11’ ceilings. Each unit Features a fabulous outdoor terrace, gas Fireplace, stunning custom kitchens with thermador appliances, marble countertops and center islands with seating. Spacious Master Bedroom suites include spa-like bathrooms with soaking tubs, rain showers, dual-sink vanities and large walk-in closets. Private laundry rooms and individual heating/AC thermostats in each unit. Two assigned indoor parking spaces. Pet Friendly! One block from great Shops, restaurants and Starbucks. 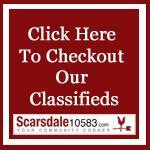 Award-winning Scarsdale schools. 30 Minutes To NYC! 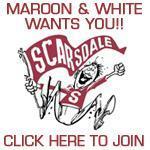 Third quarter re al estate stats are out, and the good news is that for Scarsdale, the numbers have leveled out. 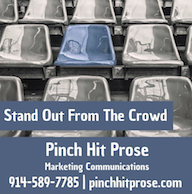 In the third quarter of 2018 there were 89 sales, exactly the same number of sales as the third quarter of 2017. 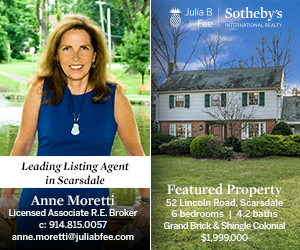 Year to date, Scarsdale is still behind by 9% with 199 sales at this time in 2017 compared to 177 in 2018. The median sale price for the quarter is off by 13%, falling from $1,635,000 in 2017 to $1,425,000 this year. For Edgemont, the numbers look great. Sales are up 36% for the quarter with 49 sales this year vs. 36 for the third quarter of 2017. 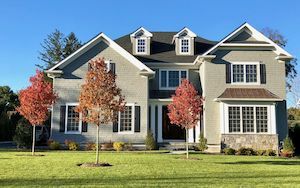 Year to date, sales are even with the prior year at 76 homes sold in both 2017 and 2018. 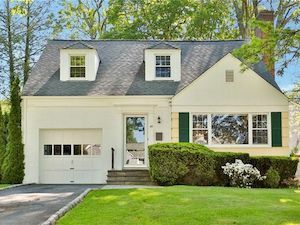 The median sale price for the third quarter is up 5% from $1,083,000 in 2017 t $1,140,000 this year. 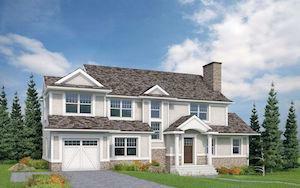 New construction overlooking Crane Pond in heart of Old Edgemont. 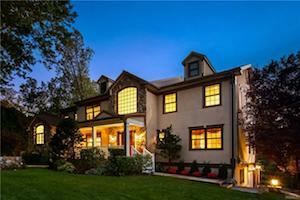 New custom construction with the charm of the Old Edgemont neighborhood. Custom design includes cedar shakes with classic exterior details. First floor: large gourmet kitchen, center island, lovely eating area with open flow to family room with gas fireplace. Dining room, living room, powder room and foyer complete the first floor. 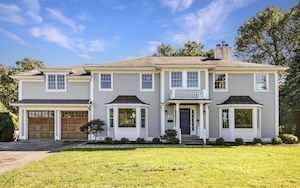 Second floor includes large master with tray ceiling, walk in his/hers closets and luxurious master bath, 3 additional bedrooms with 2 additional bathrooms. 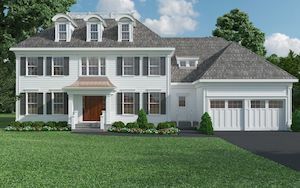 Finished lower level includes playroom, fifth bedroom and full bath, mudroom and laundry, which lead to a 2 car garage. 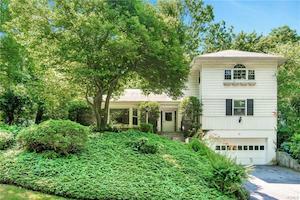 This renovated four bedroom home offers an open floor plan with four and a half new baths and a master bedroom suite with southern exposure boasting a luxury bathroom with custom Ultra tub and separate shower. The floor to ceiling windows with southern exposure flood the home throughout with tons of natural light bringing the outdoors in. High end kitchen features a large center island, custom cabinets, Sub Zero/Wolf stainless steel appliances, 2 Miele dishwashers, double wall oven, Butler’s sink and granite counters. Some of the updates include refinished hardwood floors, new hardware, new AC condenser, new carpet, new garage door and freshly painted. The outdoor flagstone patio and backyard make this home perfect for entertaining. This home is situated on a corner property and features beautiful hardwood floors throughout and plenty of windows bringing lots of sunshine into every room. 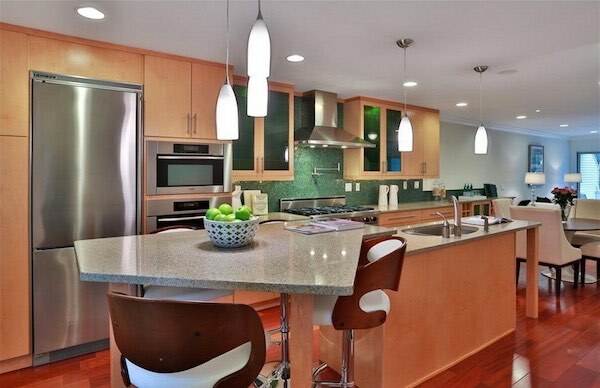 Modern eat-in kitchen with center island/breakfast area, granite counters, new stainless refrigerator and stove plus a door to the deck for easy outdoor entertaining. Relax by the fireplace in the large living room with large picture window. 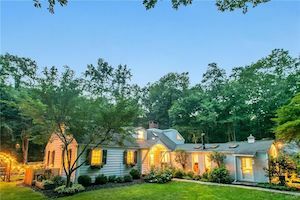 Highlights include three updated baths, new windows, new refrigerator, new stove, new washer and dryer, new heating and new air conditioning, two new patios, a walk-out lower level with playroom, office/au pair room, high ceilings and freshly painted. 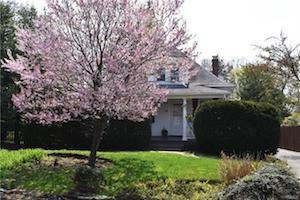 A lovely 3/4 bedroom home on a quiet tree lined street in Edgemont. The office has built in closets and is currently used as a fourth bedroom. The open floor plans lends itself to easy entertaining and everyday family living. Formal dining room has sliding door to patio and backyard with a wood playset. Some of the features of this house are skylights, 2-year-old dishwasher, 1-year-old washer and dryer and 6-year-old furnace. 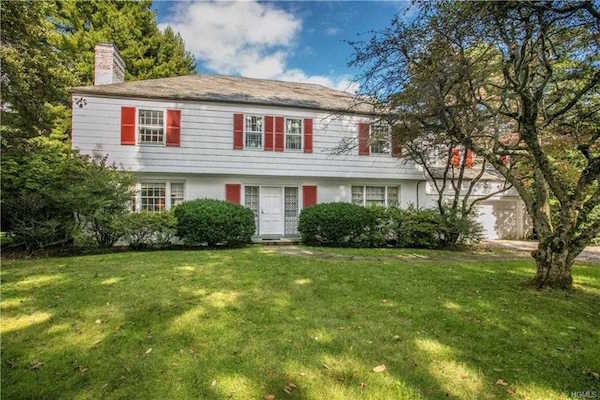 Completely renovated, this energy efficient Colonial in Ardsley School District should not be missed. 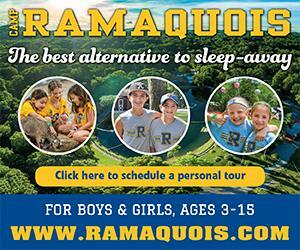 One acre of gorgeous landscaped property is ideal for playing or watching sunsets on mahogany deck. 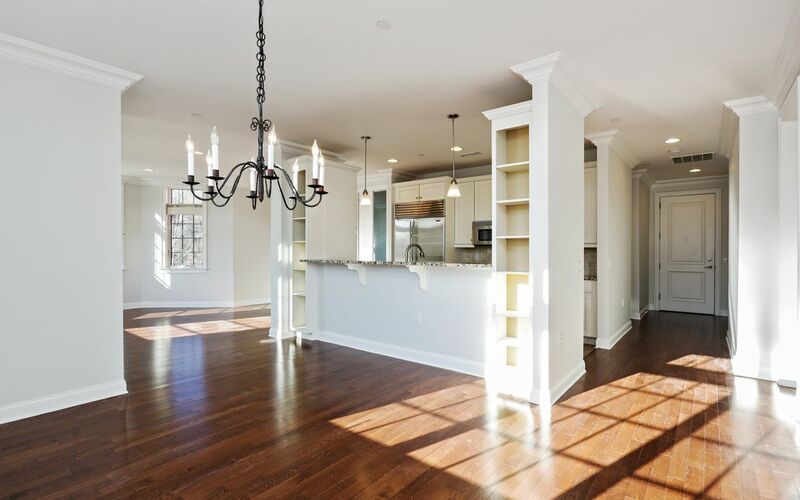 Gather in the great room (family room/cook's kitchen) with custom cabinetry, high-end stainless appliances. 6 Bed, 5.2 Bath, 5,320 Sqft. 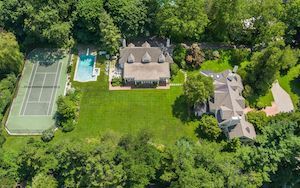 Enjoy your own private resort in the heart of Scarsdale’s coveted Murray Hill estate area. 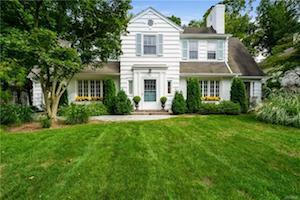 This lovingly maintained and updated grand Colonial is the perfect blend of elegance, beauty and location. 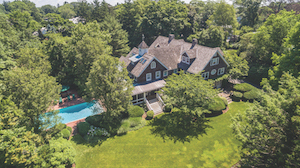 Set on a lush, private acre, this home has been updated for today’s living with spacious, sun-drenched rooms, a top-of-the-line kitchen, a luxurious master bedroom suite with his and her walk-in closets and master baths, three fireplaces and a 4,000-bottle wine cellar. Move right in and relax by the pool or practice your golf game on the 45-yard chipping green – this home has it all! 4 Bed, 4.1 Bath, 4,873 Sqft. 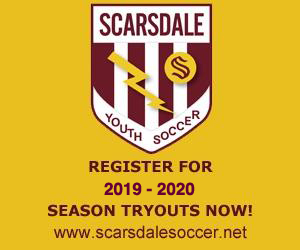 Unusual opportunity in the Scarsdale school district! Rare property set on 1.2 acres of spectacular land with beautiful golf course views! 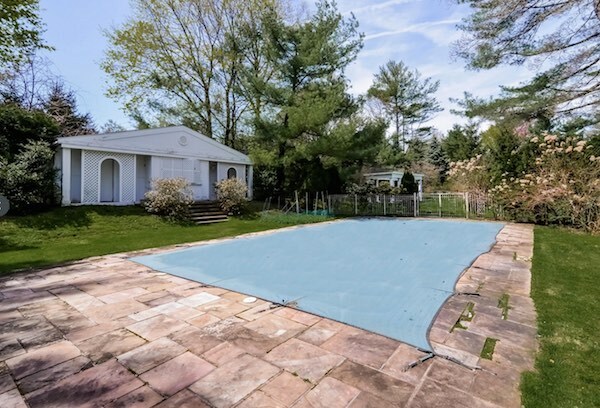 Enjoy a resort-like setting on a breathtaking property complete with Gunite pool. The home has been tastefully updated and offers a bright, spacious layout, a large gourmet eat-in-kitchen with peninsula and separate breakfast area, doors to deck and yard, nearby family room, living room with coffered ceiling and fireplace, formal dining room, sunroom, large master bedroom suite with two walk-in closets, separate sitting room/office and large master bath with his and hers vanities and Jacuzzi. The perfect blend of natural beauty, luxury and elegance located close to school, shopping & some of the world's top golf courses. A truly one-of-a-kind property that's not to be missed! 4 Beds, 3 Baths, 2,352 Sqft. 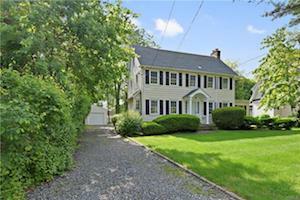 Fabulous Cape Colonial with lovely renovations throughout. Open floor plan with bright, spacious rooms. Beautifully Renovated Kitchen with Stainless Steel Appliances, Viking Range, Granite Countertops, Blond Wood Cabinetry and Island Seating. 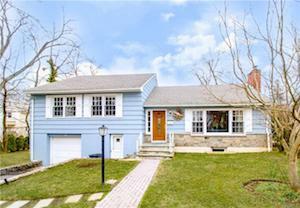 Inviting and spacious first floor Master Bedroom with renovated bath. The second level features a large two-bedroom suite consisting of a bedroom with separate playroom/homework area plus a second spacious bedroom and a renovated hall bath with Jacuzzi tub. 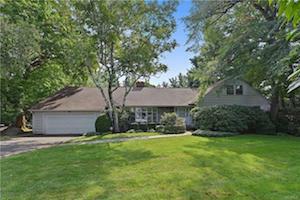 Located across from the Fenway Golf Club and just a short distance from shops, restaurants and schools. 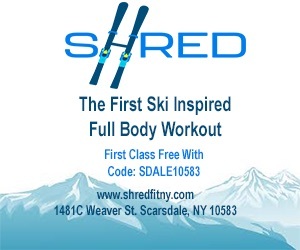 30 minutes to NYC via Metro North! 3 Bed, 4 Bath, 2,834 Sqft. 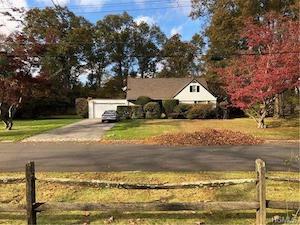 Situated on quiet level park-like property in sought after Quaker Ridge Neighborhood close to houses of worship, school, shopping, and commuter bus. This spacious split level has a great floor plan with easy living and lots of functional spaces for easy living. The kitchen has been fully updated with custom cabinetry and new appliances. There is a huge legalized bonus room (800 square feet) that could be a great bonus room or Master Suite. 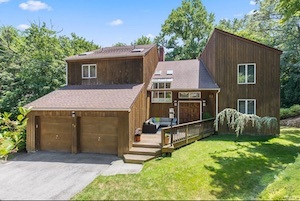 The lower level has a great playroom and attached two-car garage. 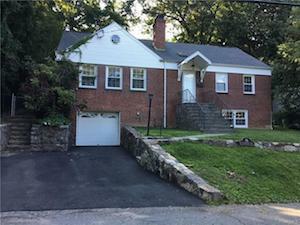 This is an amazing opportunity to own in convenient location on a beautiful level lot with lots of potential. 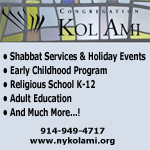 Bus to middle and high school!